As we begin 2015, we no longer will be mailing (via USPS) the newsletter except for those who do not have any way to receive it online or via email. Starting this month, we will do a single posting for the newsletter to include the messages from the WM, Secretary, Marshall and other officers who have material to include. We will also email the newsletter for those for whom we have valid addresses. If you prefer to just read it here, please let us know and we will take you off the list for a PDF copy emailed to you. Actually, the BEST way to get the information it to sign up for automatic emails from the website. That way, you will get not only the newsletter but also any announcements sent during the month. This is the first issue of our condensed newsletter. As I have previously mentioned, we discontinued the postal mailing of our regular newsletter due to rising postal and printing costs. This ‘new’ format will be a single 8 ½ x 11 front and back that we will email to those who request and mail (on a very limited basis) to those who specifically request it and do not have email. We would prefer that all members choose to view our news electronically and the best place to do that is on our website at http://www.wacomasonic.org There is an option to subscribe to receive regular emails each time something is posted. Waco 92 ran the snackbar this year at Grand Lodge and made a profit of over $4000. Half of the profit will be donated to charities and scholarships. Thanks to all who volunteered and a ‘Gold Star’ thanks to Chairman Stan Patrick for a well- run operation. At our December meeting, we presented the Masonic Community Builder Award to Dr. Eddie Morrison, a Scoutmaster for BSA Troop 308. Dr. Morrison’s accomplishments are many but most notably has been his influence in the moral and character development of hundreds of young men in our community. Thanks to all who assisted with the Salvation Army Bell Ringing on Dec 13 and our Poinsettia deliveries to our widows on Dec 22. Our donations to Toys for Tots was the largest in years. YOUR lodge is busy. Please help with our Gift of Life Blood Drive on Jan 8th and mark your calendar for our 163th Anniversary on Jan 24. 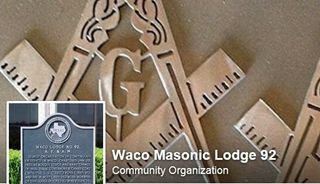 Waco 92 is doing great work for Waco &Masonry. Be a part of it! Happy New Year everyone. I am not very good with resolutions, but I would like for all of us to focus on making this year the best year at Waco 92. We will be entering our 163rd year as a lodge within the Grand Lodge of Texas. If you have not been to lodge lately, I would like to invite you to our January stated meeting. Thanks to everyone that helped out at Grand Lodge, Salvation Army Bell Ringing, and the poinsettia delivery to our widows. The dues are coming in, but there are still quite a few out. 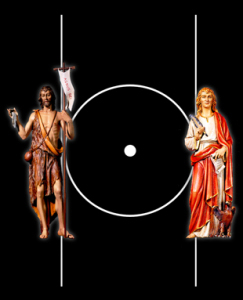 You must have your current 2015 dues card to sit in lodge starting with our January stated meeting. I have had several members that are endowed, life, or fifty-year members that are sending the dues card back with a donation. Please keep your dues card. I have to re-mail the card if you send it back. The Worshipful Master has reminded everyone about the blood drive that we will have at the lodge on Thursday, January 8, 2015 from 5 to 8pm. Please come out and help us collect the 100 pints that we have promised Carter Blood Care. That also happens to be our stated meeting night, so you can do both. Next month at our February stated meeting we will be honoring our widows of Waco 92. Mark that date on your calendar (February 12th) and come out and show your support to the widows of our lodge. Feb 12 – Stated Meeting with official visit of R. W. Brett Carroll, our District Deputy Grand Master. Dinner hour will include recognition of our widows.